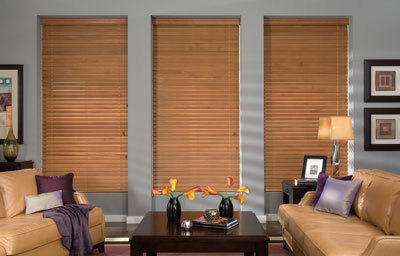 Wood Blinds -1" - 2" - 2 1/2"
Wood blinds for your home will give your windows the warmth and beauty of real wood. Each Timber River wood blind is custom made to your exact specifications using quality basswood slats. 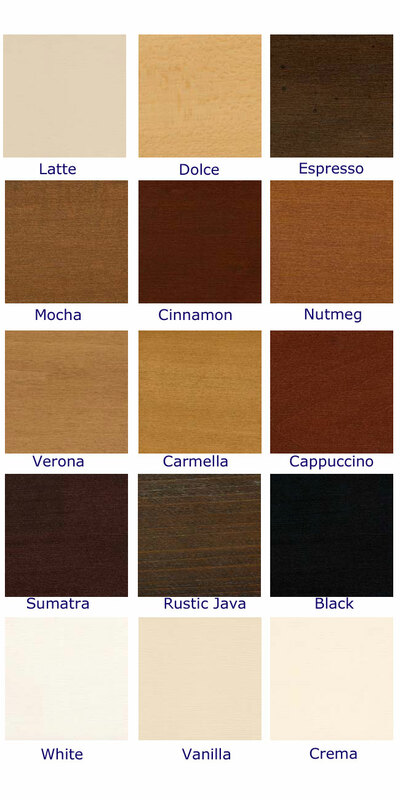 These 2" wood blinds are available in a range of painted and stained finishes. The Timber River wood window blinds feature a steel headrail with quality components. These wooden blinds come with a decorative Colonial Valance and a wood bottom rail. Nylon Cord Lift and Cord Tilt are provided as controls with wood tassels adorning each end. Standard control length is approximately half the length of the wooden blind unless specified otherwise. Exact valance width can be specified without the return end or with a return end. Holddown brackets are available at no charge, just ask when ordering. When clicking pricing for your size wood blind additonal specifications and directions are given for ordering. Custom made blinds are non-returnable. All sizes up to 93 " in width within the contiguous United States. 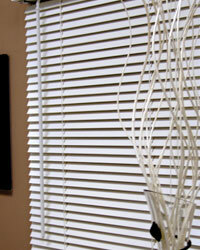 Standard 1" Wood blind slats are made from quality warp resistant basswood, found in only the finest wood blinds. Perfect for small window casings. 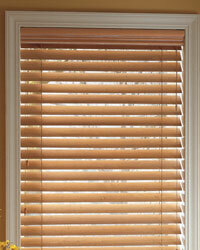 Large 2.5" Wood blind slats are made from quality warp resistant basswood, found in only the finest wood blinds. .